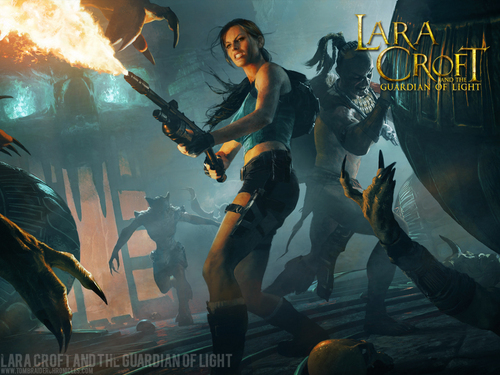 Lara Croft and the Guardian of Light. This is from the PC game, Lara Croft and the Guardian of Light.. HD Wallpaper and background images in the Tomb Raider club tagged: tomb raider lara croft. This Tomb Raider wallpaper might contain feuer, flammen, inferno, feuer, anime, comic, manga, cartoon, comic buch, karikatur, and comics.